Safety features such as intelligent speed assistance, advanced emergency-braking system and emergency stop signal will have to be installed in new vehicles. In a drive to reduce the number of fatalities and injuries on EU roads, Internal Market Committee MEPs approved on Thursday a set of rules to make several advanced safety features standard equipment in different categories of vehicles sold in the EU market. The proposal adapts the current rules to the changes in mobility behaviour resulting from societal trends (e.g. 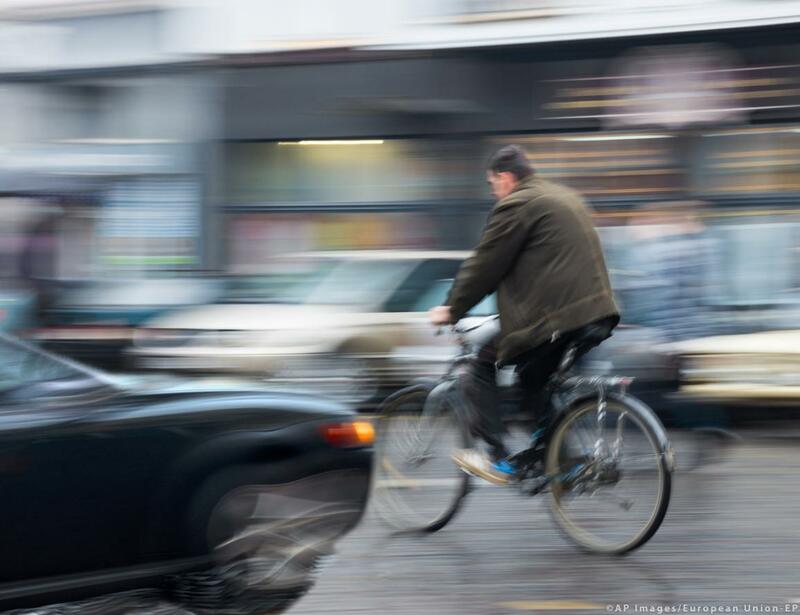 more cyclists and pedestrians, an aging society) and technological developments. accident data recorder, added by MEPs (under the Commission proposal only cars and vans would have to be equipped with it). An advanced emergency-braking system, which is already compulsory for trucks and buses, and a lane-departure warning system will be required for new passenger cars and light commercial vehicles as well. The draft law extends the scope of the currently applicable requirement to fit passenger cars with a tyre pressure monitoring system to cover all vehicle categories. Vans and SUVs will, in addition, no longer be exempt from various safety features which until now have only been required for ordinary passenger cars. Manufacturers must ensure that these systems and features are developed in such a way so as to ensure that users accept them and that motor vehicles’ user instructions contain clear and comprehensive information on how they function, MEPs stress. The Internal Market Committee also included requirements to protect vehicles against cyberattacks. MEPs amended the proposal to make sure that accident data recorders operate on a “closed loop system”, whereby the data stored is overwritten, and which does not allow the vehicle or driver to be identified (data collected will be anonymised). Trucks and buses must be designed and built to make vulnerable road users, such as cyclists and pedestrians, more visible to the driver (so-called “direct vision”). According to MEPs, “this requirement shall remove the blind spots in front of the driver’s seat and significantly reduce the blind spots through the side windows”. Specificities of different types of vehicles must be taken into account, they add. For hydrogen-powered vehicles, the new requirements relate mainly to the standards for materials and components used in these vehicles, as well as to test procedures. The proposed measures also pave the way to automated vehicles (where driver intervention is still expected or required) and fully automated vehicles (without any human supervision). Making advanced safety features mandatory for vehicles should help drivers to gradually get accustomed to the new features and should enhance public trust and acceptance in the transition toward autonomous driving. Róża Thun (EPP, PL), who is steering this legislation through Parliament, said: “Safety of road users, especially unprotected ones, is our focus. This regulation deals in the most direct sense with life and death. We concentrated all our efforts on saving lives and mitigating injuries. The additional obligatory equipment for cars, trucks and buses will save human lives. I am very proud of the European Parliament; despite all our differences, the members supported this ambitious proposal." The amended proposal was approved in committee by 33 votes to two, with no abstentions. The mandate to start negotiations with Council, endorsed by 31 votes to three, with no abstentions, is due to get the full House’s green light in the 11-14 March plenary session. The implementation dates for the different safety requirements are specified in Annex II of the proposed regulation, which was also amended by MEPs to speed up their application. Once approved, this legislation will replace the current General Vehicle Safety Regulation, the Pedestrian Protection Regulation and the Hydrogen-Powered Motor Vehicles Regulation.